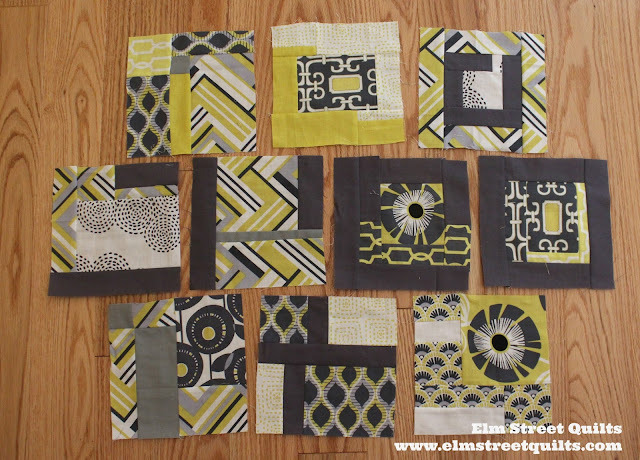 and the rest of the last ten blocks - 91 through 100. I enjoyed this QAL much more than I had expected to. 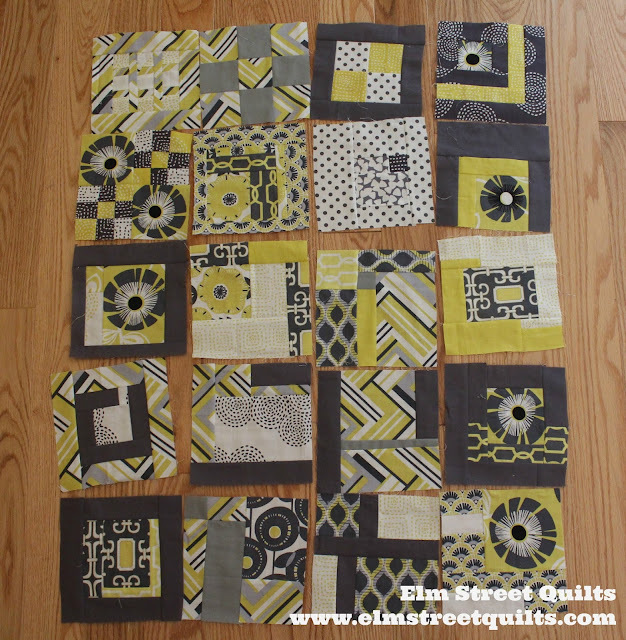 These blocks were unique and it was nice to use fabrics which weren't my usual color choices. Doing different things is a really good thing. My daughter has claimed this quilt for her newly painted room. 75 of her favorite blocks are now joined together in a quilt. I'll share that finish later this week. And just because it is fun to share - here they all are one last time in groups of 20. Congrats on finishing all the blocks. 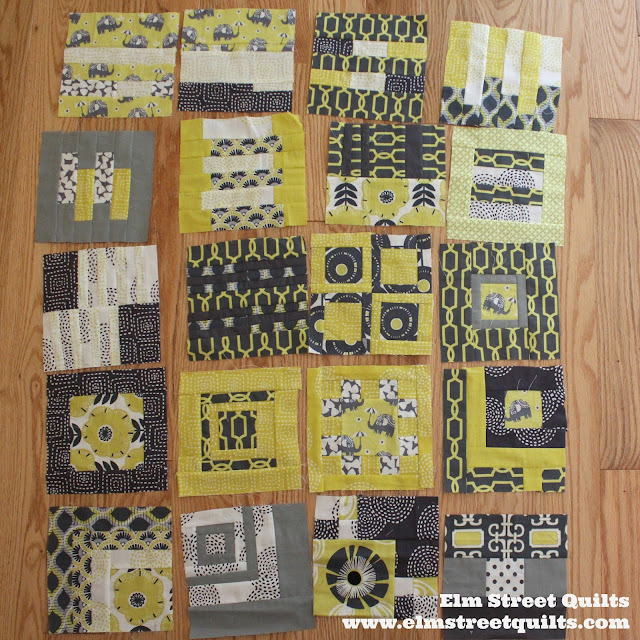 Looking forward to seeing them pieced together and quilted. Woohoo! Congrats on finishing 100 blocks! I enjoyed seeing your blocks everyday! Way to go, Patty. Thanks for sharing your adventure. I look forward to seeing the daughter quilt. 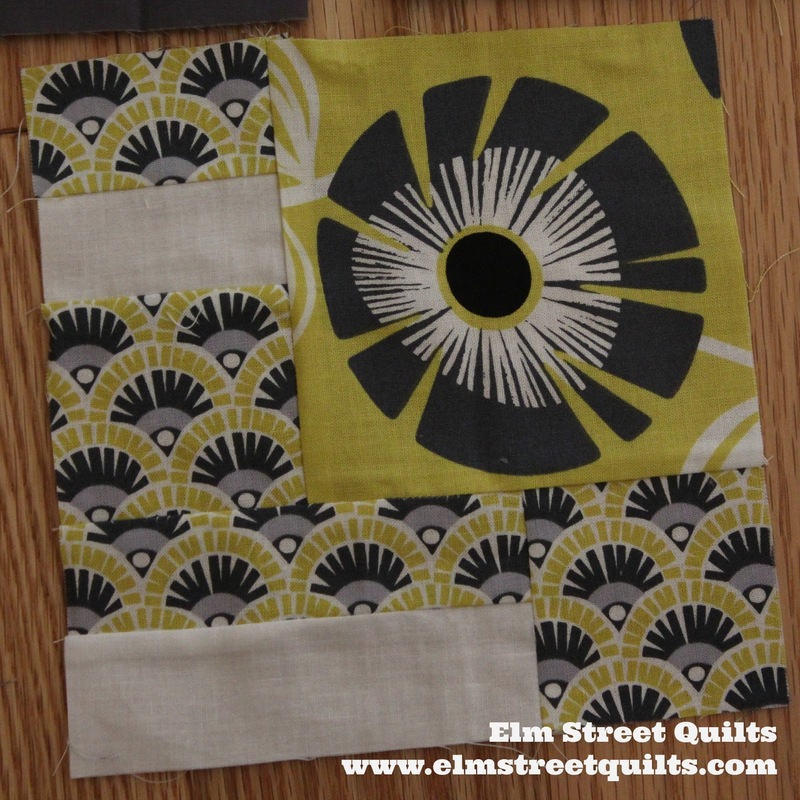 I am at the "planning" stage for a bicycle fabric themed quilt for my daughter. Congratulations, Patty, and well done!! They look wonderful together! These are so fun, I love seeing them all together! Congrats on finishing! And thank you for inspiring me to do the challenge as well. Can't believe I finished them all! 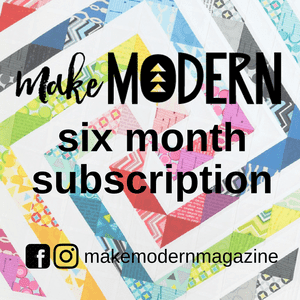 Your daughter is going to have one gorgeous quilt! I really like your idea of using the same colorways for all 100 blocks. 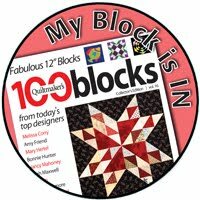 I'm doing these blocks in the Rainbow Scrap Challenge 2017. I love the book. I suppose I should follow your example and pick a colorway and run with it. 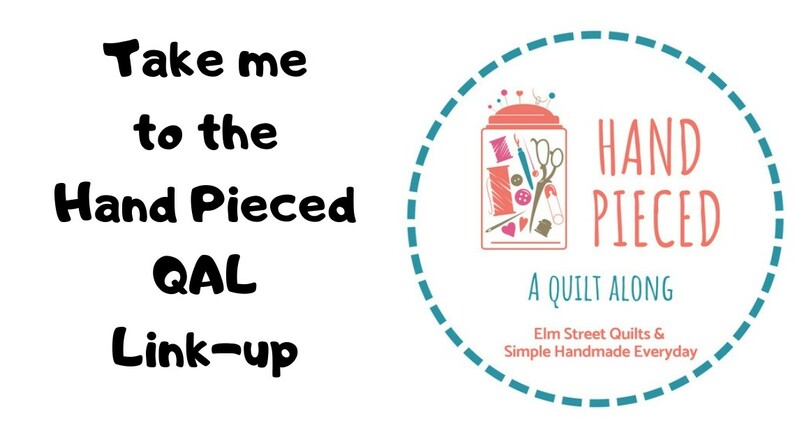 I can't wait to see the quilt all together! 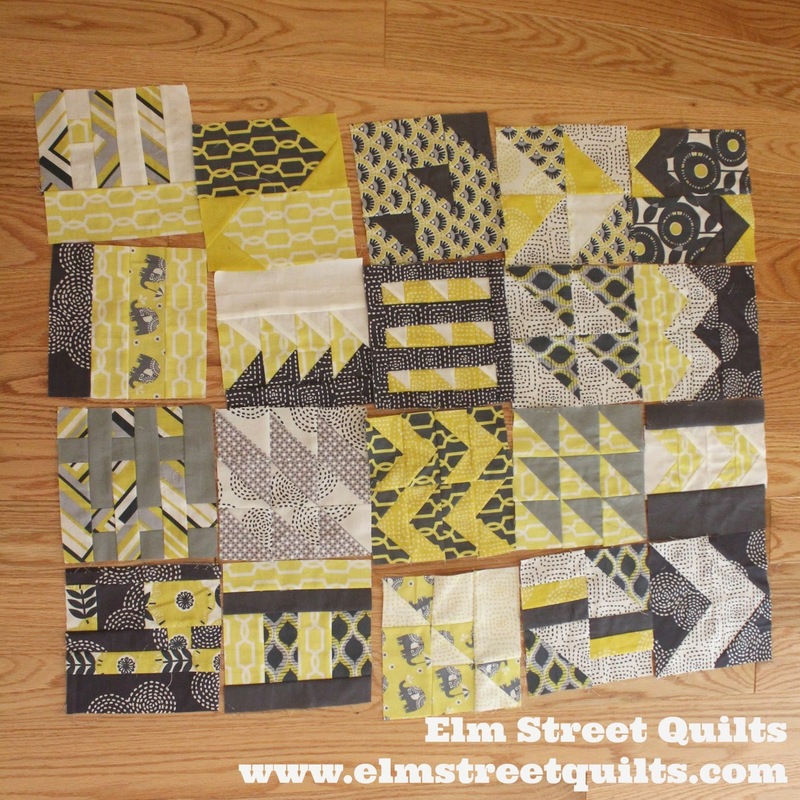 I'd love to make this quilt but am not sure how much fabric to buy. I'd like to use fat quarters in a small color array like you did. Do you remember how much fabric you used?